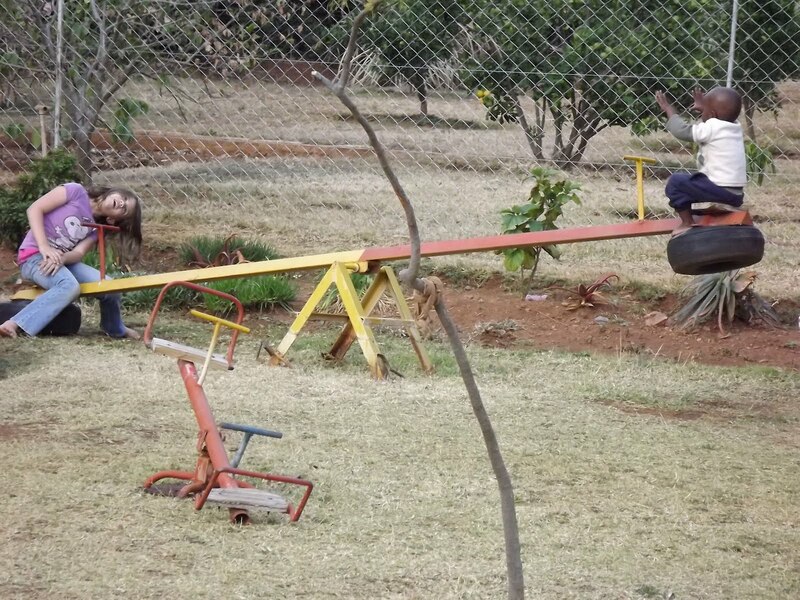 Update from Martin Barrow and Our Neighbours Ministry in Bulawayo, Zimbabwe. 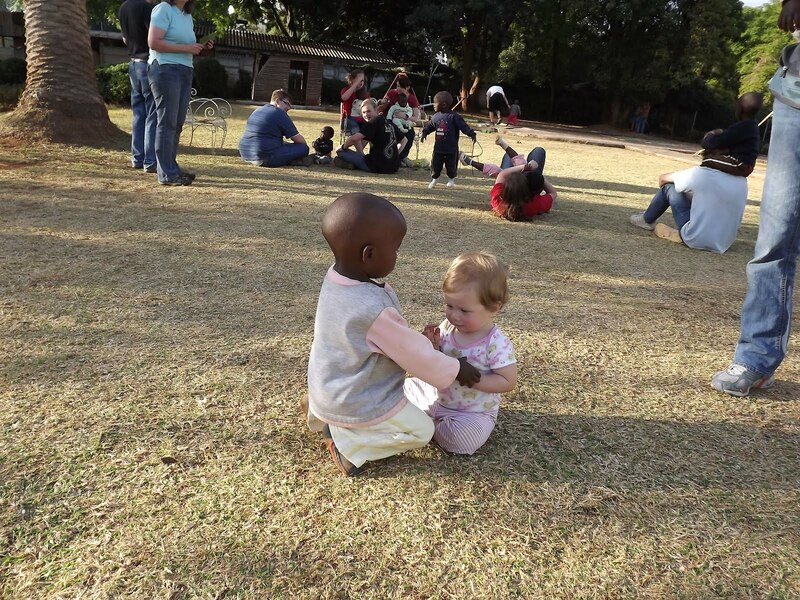 Martin wrote- "It was with joy that we received the news that Ezra and Martha were finally given permission by the Department of Social Services to foster Michael, to be adopted ASAP, from Isaiah’s Babies Home. It’s been a very long journey for them all!" 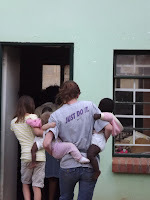 Isaiah’s Home of Love Established to assist abandoned babies, orphans and vulnerable children in desperate need of care. Since 2007 we have cared for or are caring for for 117 babies/children, with 37 of them fostered or adopted by loving families, 23 placed into ‘forever family homes’, 31 reunited with their extended families, and unfortunately 5 babies have passed away. We have a babies home for abandoned babies where they are lovingly cared for and we help to facilitate fostering and adoption. In this home we currently care for 21 children aged between newborn and five years old. 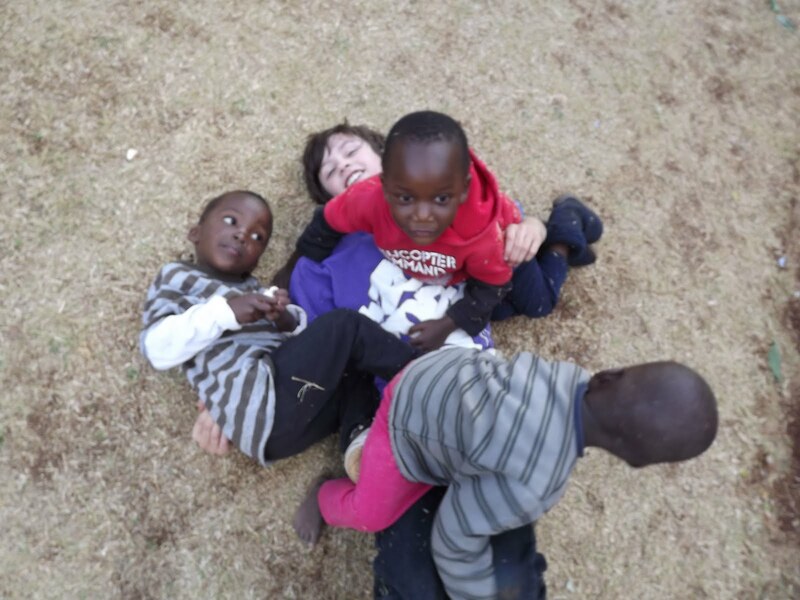 We partner with organisations and have established ‘Forever Homes’ where abandoned and orphaned children not fostered or adopted are cared for in a family environment. There are two of these homes in operation within vision to establish another home in the very near future. Please consider sponsoring one of our abandoned babies, click here for all the details. Show Hope/ Empower to Connect Conference in Houston, TX Equipping families, churches, and professionals to bring hope and healing to adopted and foster children. Speaker - Dan Cooley will share his experiences with adoption and foster care. I am excited about the attachment disorder training and look forward to seeing how God will you use it in my life and the lives of my family and the orphans we are connected to in Africa. http://showhope.org/be-hope/equipping-families/etc/ - Established in 2003 as Shaohannah’s Hope, Steven Curtis Chapman and his wife, Mary Beth initially founded Show Hope out of their desire to see more children find their way into forever families. Though many families they talked to were willing to adopt, the financial costs to adoption were simply too high. We are getting ready to say our good-byes to our friends in Bulawayo and at Isaiah's Babies Home. We are planning to plant a banana tree at Isaiah's Babies Home this Saturday. Please pray for this and the rest of our time here. We leave on next Monday. We have been ill and are hoping for a speedy recovery. We are so thankful for your emails and prayer. 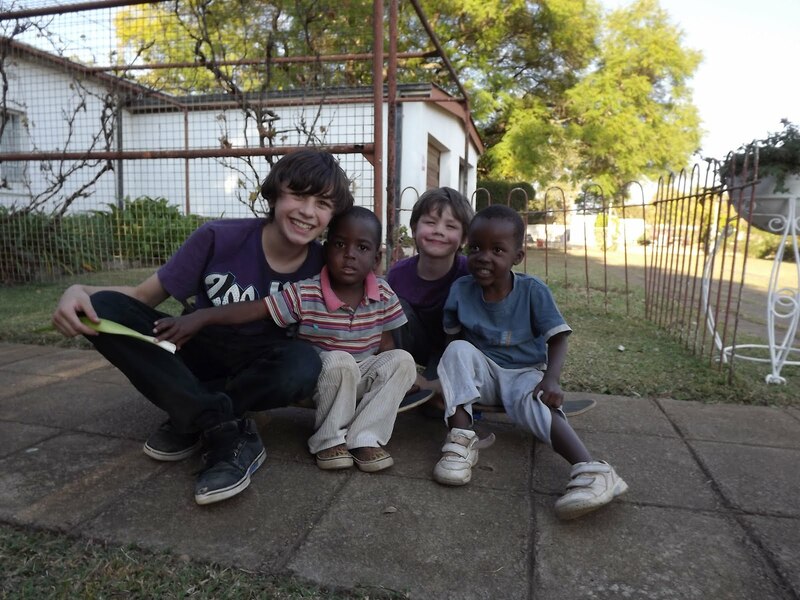 We are so thankful for what we are learning about orphan care here in Bulawayo. After several days of spending time at Isaiah's, we learned that we could take children home with us for the weekend. 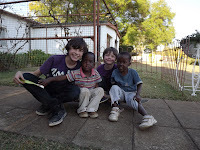 This past weekend we were able to have 2 young boys from Isaiah's home come to our house in the outskirts of Bulawayo. They had a great time with our family and went to church with us on Sunday at City Pres. Church. (The other photo is at the home where Keary and Olivia are helping out with changing diapers.) There are always ways to help out the staff at the home. We spend much time washing and hanging out clothes (washer and dryer are both not working well), changing babies and playing/cuddling the kids. Please be praying for these children to be adopted. There are 20 plus children ready for adoption in this orphanage alone. Typically, the home will have only 4 or 5 children adopted out. We are learning about the barriers that exist to adoption here and are asking for God to show us how to help. Our children have fallen in love with these children and are struggling with these barriers as well! We had a wonderful time at Isaiah's home. Stephen, Sayer and Lillian played in the yard with the children. We are learning about how things work in Zimbabwe and how the community is caring for orphans. The children are well cared for, but unfortunately only one child is scheduled to be adopted. Some of the children are taken on the weekend by families in the area. We are getting to know various people involved in the orphan ministry here and are praying that we will see how God is working here and how we can be of further help. We have arrived in Bulawayo. All of us are doing well. Keary was quickly put to work on our first day of ministry. She is reading in a preschool which is part of a carpentry training ministry in the country for young men. While the staff is working with the 8 trainees, the pre-school teacher(on the left) is working with the children and teaching them English. For two years, they are discipled and taught carpentry skills. We have received a warm welcome from our hosts Mell and Craig Jones. This ministry has been in existence for 20 years and some of the graduates are pastors in the area. The quote from the leader was the carpentry training program is "not a success", because many of the trainees become pastors instead of carpenters. Our experiences with the relief and development internship have been wonderful and challenging at the same time. Please continue to prayer for us. We are still in transition and with limited electrical power and tight budget, we face many challenges daily that can impact us in terms of preventing us for participating and serving the community here. FREE International texting Skip recently discovered Whatsapp! A quick download will keep us connected! We have hit the packing phase now! Duffles, duffles....we need more duffles! We are running errards each day collecting items that were requested by the staff in Zimbabwe. The little things in life that make our lives functional....like batteries, mint tea, nerf darts! Living in Zimbabwe will be very different! God is gracious and faithful. He provided 5 cannisters of formula for Lilly through a fellow teacher in Keary's school district. And BONUS! It has probiotic in it! Just what Lilly needs in Africa. Prayerfully consider supporting orphans, adoption, and family preservation work in Africa. We are planning to return in 2104. In 2004 our family embarked on an incredible journey of faith together in service to orphans. It began at the Casa Hogar Orphanage in Acapulco, Mexico and has carried us all over the world now. It was a very memorable trip, to our children especially. In July 2008, we traveled to Cuzco, Peru to help with the start of the Josephine House Orphanage. In 2009 Skip enrolled at Covenant Seminary in Saint Louis, MO to obtain a degree in counseling to better equip us for service to orphans. In 2010, we were led to join the DR Congo bridge team at New City Fellowship. We traveled to Africa to aid in the care of over 150 orphans in Kinshasa, Congo and to also visit a project in Addis Ababa, Ethiopia that seeks to serve the needs of a large community of families with HIV/AIDS. In Jan 2011 Skip returned to Addis with a team of medical and counseling professionals and students to serve these same project beneficiaries. 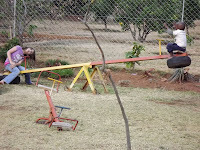 We are seeking wisdom about serving as a family, for 6-8 weeks in Bulawayo, Zimbabwe in the summer of 2012. 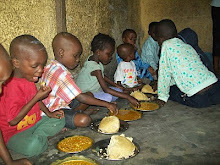 We invite you to partner with us as we seek to care for orphans again.